It’s no exaggeration to say the ceasefire deal brokered in the Swedish capital Stockholm last week could not be worked out if a Saudi journalist had not been slain in the Saudi consulate in Istanbul early October. Joining the dots between the death of Jamal Khashoggi and a ceasefire in Yemen once seemed a stretch, but no longer. The murder of the Washington Post columnist, which is widely believed to have happened at the order of the ambitious Saudi Crown Prince Mohammed bin Salman, has visibly weakened the chief architect of the war in Yemen. The 31-year-old prince, who launched the war in Yemen a few months after coming to power, had for four years insisted on continuing the invasion, which many believed was doomed in the first place. 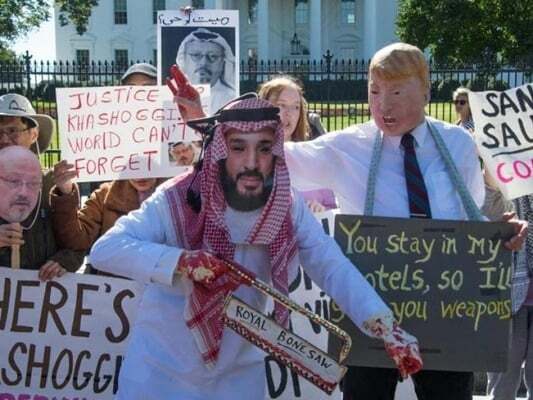 But October 2 proved to be a tipping point, thanks to Recep Tayyip Erdogan who devised meticulous plans to use Khashoggi’s death to hit bin Salman, his biggest rival in the competition over leadership of the Sunni Muslim world. Looking at the deal achieved four years into the Saudi-led war, one could be certain the Saudi prince would have never accepted such an outright defeat if he was not in such a weak position. Perhaps the pressure from the US has been influential in the Saudis’ decision, considering the fact that the Saudi-backed operation in Yemen was impossible without relentless support for the Saudi war machine. According to the UN-brokered deal clinched between the Ansarullah movement and representatives of the fugitive former president, an immediate ceasefire was implemented in Yemen’s Red Sea port of Hudaydah and its surrounding on Tuesday. Under the deal achieved after week-long talks, the warring sides will also exchange over 15,000 prisoners. Clashes have been reported near the city before and after the ceasefire, but the two sides seem unwilling to seek altering the status quo. Residents in Hudaydah and the surrounding areas have reported fierce airstrikes in recent days, following fresh attempts by the Saudi-led coalition to advance into the city amid its aerial bombings. AFP quoted people reporting artillery shelling and heavy machine-gun fire shook districts in the south and east of the strategic city late Monday in the final hour before the ceasefire took effect at midnight. The ceasefire, seen as the first significant breakthrough in Yemen’s peace process, could be counted a major win for the Yemeni people and a major setback for the Saudi government in many ways. Saudi Arabia and the UAE launched their offensive against Hudaydah in June but they faced a strong resistance put up by Yemeni armed forces. The ceasefire means they have finally given up, with almost none of their objectives realized yet. The two sides fought to a stalemate after weeks of ruinous street-to-street fight at the city’s outskirts, which is estimated to have left hundreds of Saudi-backed troops dead or injured. A cessation of hostilities in Hudaydah would spare Yemen a significant spike in civilian casualties since Yemeni forces have shown battlefield resilience, frustrating much larger Saudi-backed forces who tried for months to retake the city to use it as a big bargaining chip in political talks. Saudis who portrayed Ansarullah members as a bunch of villains orchestrating coups in Yemen were eventually forced to come to the negotiating table with the group and admit it represents a big portion of the Yemeni nation. Moreover, the ceasefire will ease the economic blockade of Yemen, exacerbated during the war near Hudaydah. The city is the entry point for about 70 percent of Yemen’s imports, mainly vital humanitarian aid for millions of Yemeni people. The two sides of the Sweden talks have agreed to meet again in late January for talks to define the framework for peace negotiations. United Nation Secretary General Antonio Guterres warned on Sunday that “much worse” could happen to the impoverished country in 2019 unless a comprehensive peace deal came about and the humanitarian crisis was tackled. Will Khashoggi’s death be the beginning of the end for the devastating war which has claimed thousands of lives in Yemen and pushed the country close to the brink of outright famine? Time will tell. 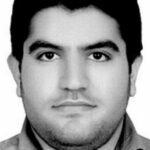 Alireza Hashemi is an Iranian political journalist with several years of experince working for Iran's English and Persian-Language media who regularly contributes to IFPnews. He previosly served as a staff writer at Financial Tribune.